Bespoke Tony Wilson Hoodie drawn in pencil by artist Mark Reynolds. 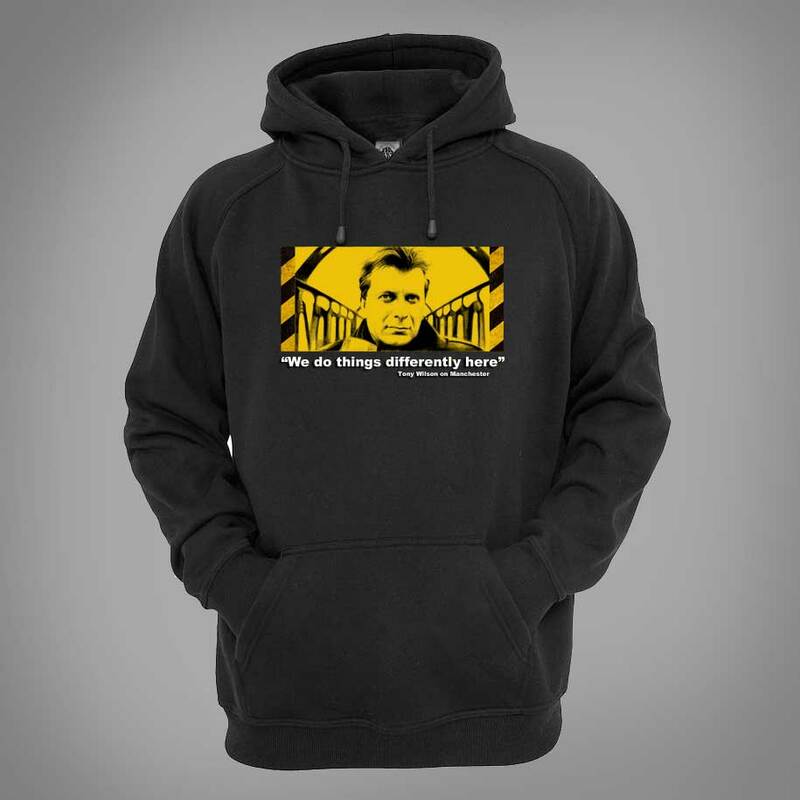 The Hoodie features a portrait of Tony Wilson and the quote “We do things differently here”. The Tony Wilson Manchester Hoodie is available in a range of colours and sizes. Anthony Howard “Tony” Wilson (20 February 1950 – 10 August 2007) was an English record label owner, radio and television presenter, nightclub manager, impresario and journalist for Granada Television and the BBC. Wilson was the music mogul behind some of Manchester’s most successful bands. He was one of the five co-founders of Factory Records and the founder and manager of the Haçienda nightclub. Wilson was known as “Mr Manchester”, dubbed as such for his work in promoting the culture of Manchester throughout his career.